African-American and Latino students, who are more likely to drop out and less likely to attend college, rely more heavily on getting information and guidance from school staff to plan for college and choose demanding courses. Counselors are safety nets who fill in those gaps and prevent them from falling through the cracks. Yet a recent survey of students at four predominantly Latino CPS high schools found nearly half of the respondents at one school had never met their counselor; the average at all four was 27 percent. At the North Kenwood Oakland campus of the University of Chicago charter schools, even the preschoolers are tech-savvy. By the time they reach 6th grade, each student gets his or her own laptop. But despite the emphasis on technology, North Kenwood Oakland does not consider it an educational magic bullet. 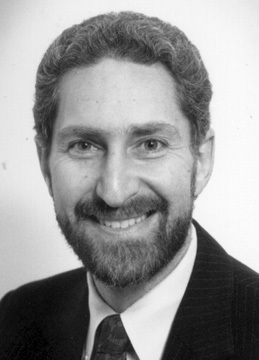 Technology is merely a means of enhancing good educational practice. 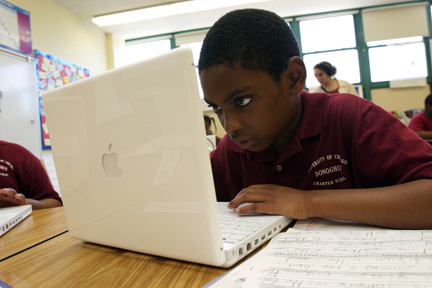 Chicago lags behind the nation in student access to computers, and within CPS, computer access varies widely from school to school, a Catalyst survey finds. The district has pledged to level the playing field and provide more equity and better teacher training. 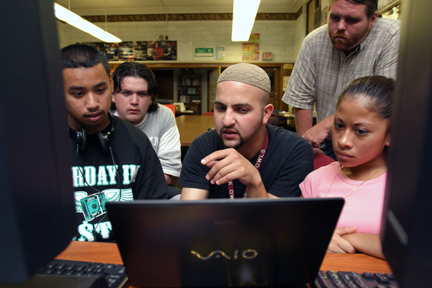 On the surface Chicago high schools seem to be winning the technology race. But they still face barriers—such as logistics, inequity in resources, and lack of training—to successful use of technology to enhance learning. 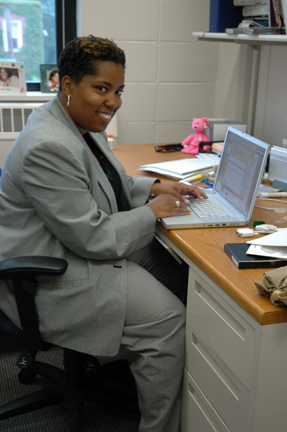 Nichole Pinkard became interested in technology and urban youth when, as a professor at the University of Michigan, she noticed that few kids from Detroit were entering the computer science program. Now, as director of technology for the University of Chicago’s Center for Urban School Improvement, Pinkard helps integrate technology into the classrooms of the university’s charter schools. 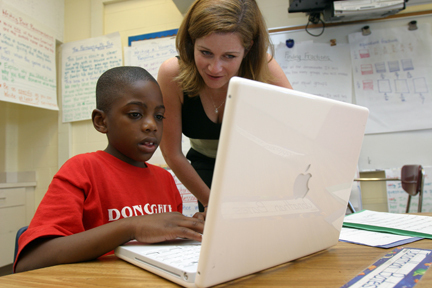 Pinkard talked to Associate Editor Maureen Kelleher about her work and how urban schools can make better use of technology. The district’s new Student Code of Conduct (formerly called the Uniform Discipline Code) is a compromise between two positions: that of youth advocates who wanted more innovative methods of discipline, and principals and teachers who wanted more resources and training to use the innovative practices. As part of its High School Transformation Plan, the district’s recommended math curricula includes two computer programs in hopes of cutting algebra failure rates. CPS has tapped Allan Alson, the highly regarded superintendent of Evanston Township High School, to oversee its high school transformation project. 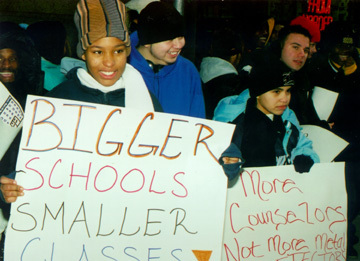 In 1999, Alson led the creation of a consortium of 15 school districts that were committed to closing the achievement gap between white and minority students. Associate Editor Maureen Kelleher spoke with Alson about what needs to be done to make Chicago’s public high schools better. Beginning in September, 14 CPS schools will test run the district’s multimillion dollar high school transformation project, an initiative designed to improve curriculum and instruction in core subjects. Of the $7.5 million Renaissance Schools Fund says it has given to schools to date, over $4.7 million went directly from corporations to schools, and a sizeable chunk of the rest was targeted to particular schools through the group’s matchmaking efforts.